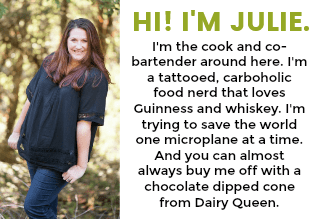 Sponsored post by me on behalf of FARMER JOHN®, MISSION®, & TABASCO® Sauce. The opinions and text are 100% mine. 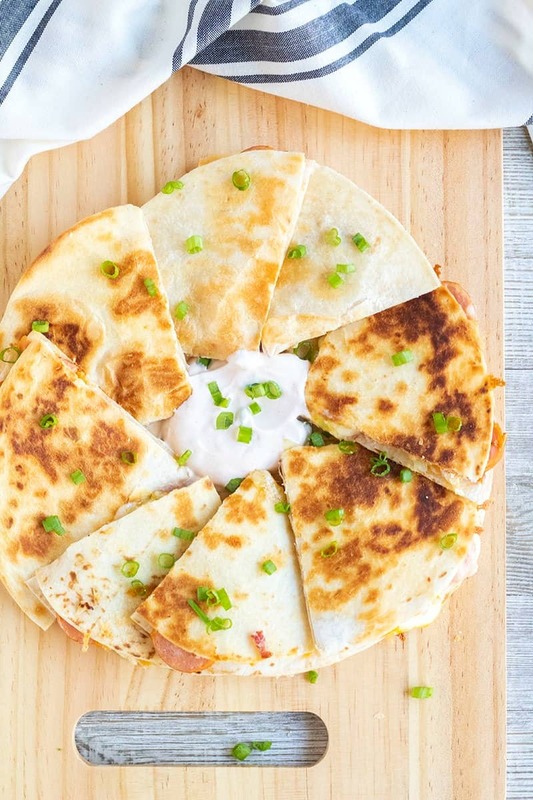 Cheesy and meaty, this easy Chipotle Polish Sausage Quesadilla is a hit with the whole family! Loaded with polish sausage, cabbage, bacon, and cheese; each bite begs to be dipped in chipotle sour cream! Finding new meals to mix up things at our house isn’t always easy. With picky eaters, that are skeptical of just about anything new, this Chipotle Polish Sausage Quesadilla was a daring move that ended up being a hit with all my boys! 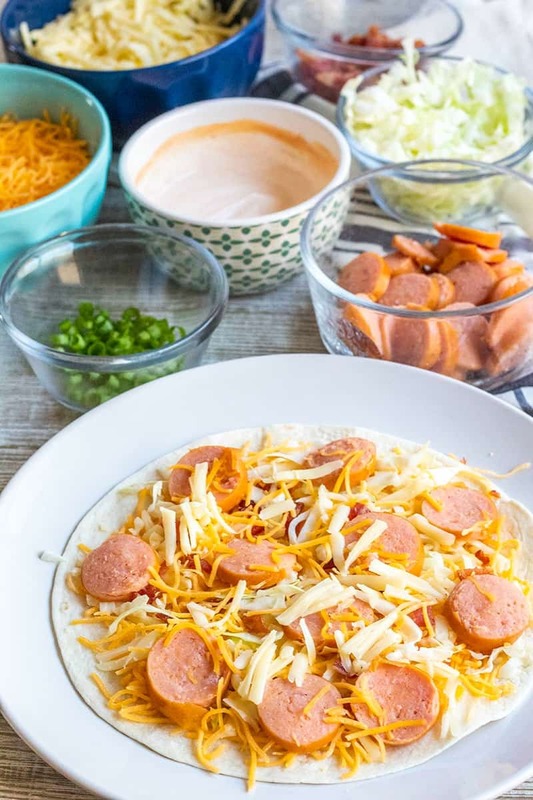 Classic polish sausage pairings like cabbage and bacon are combined with melty cheese and smoky chipotle sour cream for pretty much the best sausage quesadilla you’ll ever have. I think it’s destined to be on the same level as bacon mac and cheese around here. I was never one for polish sausage recipes. Hot dogs were my go-to and they were fine. Then one season during spring training Mike turned me on to polish sausages. Now I run over to Smart & Final a couple times a month to grab our favorite FARMER JOHN® Classic Polish Sausages to grill and throw on a bun or cook up and put in our favorite recipes. If you’ve never had a Polish sausage you are missing out and we need to fix that right now. Go get a pack and get ready to fall in meaty, delicious food love. Grilling – Heat grill to medium heat. Make 4 to 5 score marks in each sausage. Place the sausages on the grill and cook for 10 to 12 minutes, turning frequently, until warmed to an internal temperature of 165 degrees F.
Stove Top – Place a skillet over medium-high heat. Add 2 to 4 sausages and about 1/3 cup water to the skillet. Cook for 10 to 12 minutes, or until an internal temperature of 165, turning the sausages occasionally. 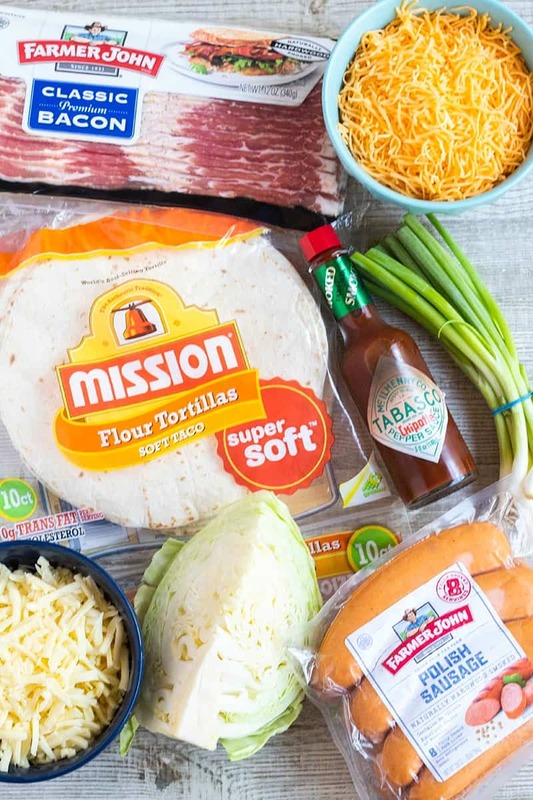 The ingredients for this quesadilla draw from classic polish sausage pairings – cabbage and bacon. Since in a quesadilla, I loaded my MISSION® Super Soft Flour Tortillas with cheese. Then I piled on the polish sausage, sprinkled on some green cabbage and crumbled bacon. I’m not the best with spicy food, but if you like a good kick then add a few drops of TABASCO® brand Chipotle Pepper Sauce to the quesadilla too. Then it’s as simple as cooking this sausage quesadilla until the tortillas are golden brown and the cheese is all melty and delicious. Just mix together some TABASCO® brand Chipotle Pepper Sauce and sour cream for dipping and you’re in business. I made these Chipotle Polish Sausage Quesadillas for dinner, but they’re great as an appetizer or part of your game day spread too. Now that I’ve made you super hungry and have you set to make dinner tonight, are you ready to WIN an amazing tailgating prize pack? During the Smart & Final Farmer John Tailgate Sweepstakes, all you need to do is Shop, Text, Win! Shop – Purchase any participating FARMER JOHN, MISSION, or TABASCO® Sauce product from your local Smart & Final for a chance to win a tailgate prize pack. Win – A tailgating prize pack! 5 winners will win a prize pack valued at over$625, 10 winners will win a prize pack valued at over $275, and 25 winners will win a $50 Smart & Final Gift Card. This is a great reason to shop for FARMER JOHN, MISSION, or TABASCO® Sauce at Smart & Final. You can learn more at Smart & Final. The sweepstakes open from August 29, 2018, to October 9, 2018. 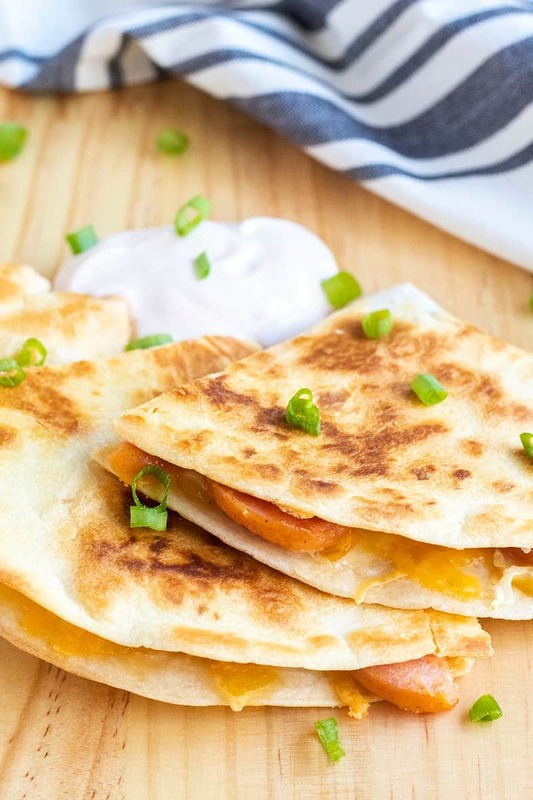 Cheesy and meaty, this easy Chipotle Polish Sausage Quesadilla is a hit with the whole family! Loaded with polish sausage, cabbage, bacon, and cheese each bite begs to be dipped in chipotle sour cream! Place a large skillet over medium heat. Spread 1/2 tablespoon of butter over one side of 2 tortillas. Place one tortilla, butter side down, in the skillet. Top with 1/4 cup cheddar cheese, 1/4 cup Monterey Jack cheese, some cabbage, some bacon, and Polish sausage. Place the second tortilla on top, butter side up. 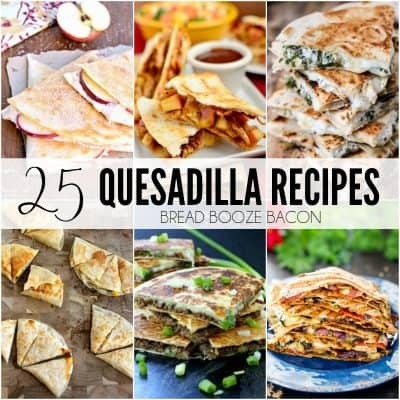 Cook the quesadilla for 3 to 5 minutes or until golden and cheese is starting to melt. Carefully flip the quesadilla over and cook for another 3 to 5 minutes. Remove to a cutting board. Repeat with remaining ingredients. Cut quesadillas into quarters. In a small bowl, stir together sour cream and TABASCO® brand Chipotle Pepper Sauce until evenly combined. 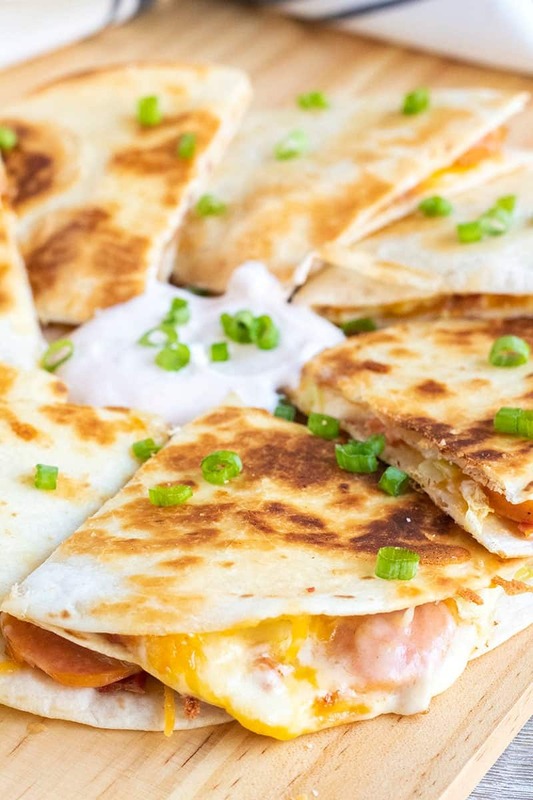 Plate quesadillas and serve with a dollop of chipotle sour cream. Sprinkle with green onions, if desired. Serve immediately. I used soft taco sized tortillas for this recipe using 2 tortillas, top & bottom, for each quesadilla. If you buy burrito sized tortillas, you could use 1 tortilla per quesadilla and then fold it in half. Coleslaw mix from the store would work great in this recipe if you don't want to buy an entire cabbage head.